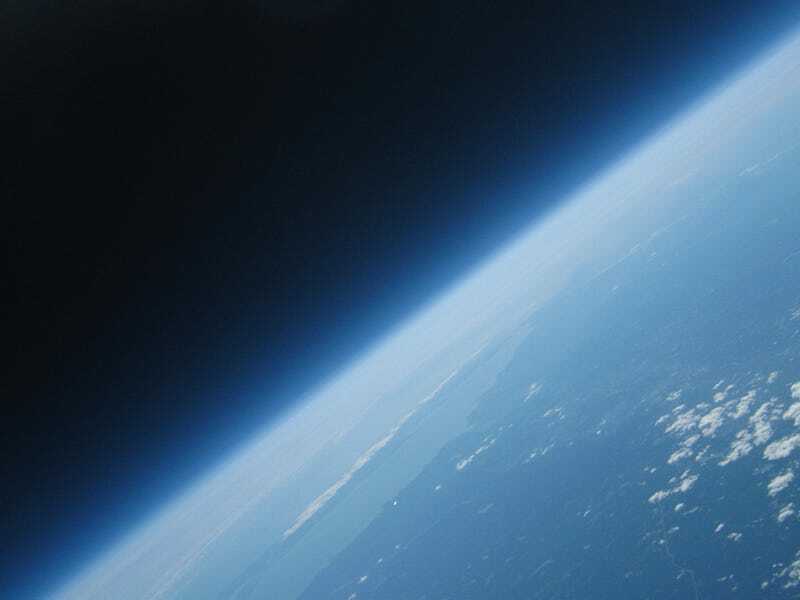 On September 2, Justin Lee and Oliver Yeh successfully took these images of Earth's curvature and the blackness of space using only a weather balloon and off-the-shelf components—without complicated hacks. Total cost: $148. Here's how they did it. First up, their rig used a Canon A470 camera with 8GB SD card that they bought used on Amazon. And instead of the expensive GPS radios commonly used by weather balloons, they used a prepaid Motorola i290 GPS cell phone to receive location text messages. The Earth's stratosphere can get as cold as -67 degrees fahrenheit (-55 Celsius), but they couldn't afford expensive temperature-resistant housing. The solution: a styrofoam beer cooler, and an instant hand warmer. Awesome. Their low-cost balloon-launch platform reached 17.5 miles high, into near-space. Using the GPS phone to track its location, they found the rig 20 miles away from the launch site about 5 hours later. Total weight was 800g (about 28 ounces). Apparently FAA regulations only apply to balloons with payloads over four pounds. If you want all the details—including a full parts list—check our their site below.